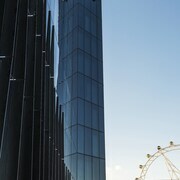 Docklands is one of Melbourne’s most recent and exciting additions. Once an industrial area and a port for ships to dock in, it’s since evolved into a buzzing waterfront precinct with plenty of lush scenery, shopping and dining options... and it’s not done yet! Entertainment, cultural attractions and family fun await you, so book your Docklands accommodation with us! In the 1860s Docklands was the location for the West Melbourne Gas Works, the local rail industry and many other businesses. Victoria Dock was constructed between 1887 and 1982 as a place for ships to park, and it remains the oldest, largest dock in the world! In the 1960s, container shipping became more popular and the area fell out of use until 1991 when the Docklands Authority was formed to give it new life. 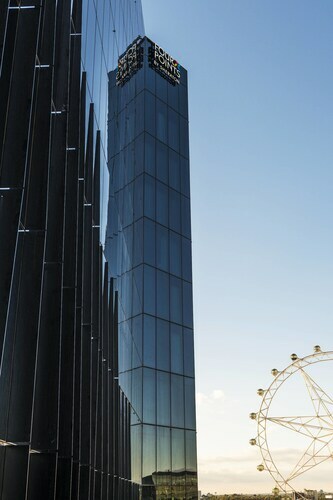 Now Docklands is one of Melbourne’s trendiest destinations and easy to get to as well! Catch the free City Circle tram, jump on a bus or train, or walk or cycle along the Capital City Trail. Once you’re here, there are plenty of things to do. Head to Harbour Town Shopping Centre where you can check out over 90 outlet stores with bargains on everything from fashion to sportswear and jewellery. Waterfront food and dining is an absolute feast with Thai, Vietnamese, Indian, steak, seafood and wine to choose from. History fans can see the Enterprize Tall Ship, a replica of the vessel that first took British settlers to Victoria in 1835. Those with families will find plenty to keep the kids entertained. Take a spin on a carnie ride at Wonderland Fun Park, play a game of mini-golf in glow-in-the dark UV lighting or take a trip to Docklands Park to see public art and the Play Journey interactive playground. Etihad Stadium, opened in 2000, is a massive multi-entertainment venue that holds up to 55,000 people. Hosting cricket, rugby and some of the world’s biggest musical acts, it’s a fantastic venue for sport and music fans. For a great night out by the waterside, head to Central Pier. The heritage-protected sheds, which were used as venues for underground dance raves in the late 90s, have been turned into stylish bars, pubs and restaurants offering unique food and experiences. 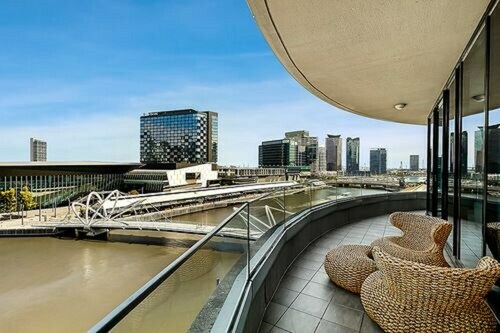 With the Melbourne CBD just two kilometres away, Docklands is a great place to start if you want to explore Melbourne, although you may find that everything you need is right here. Travelling with the family? We have family-friendly hotels and rooms for more than four people too. 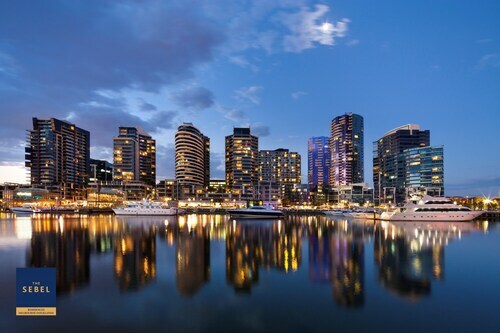 Book your Docklands hotel with us, along with one of our cheap flights to Melbourne, and discover Docklands for yourself! How Much is a Hotel Room in Docklands? 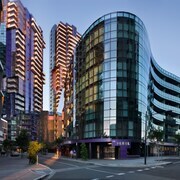 Hotels in Docklands start at AU$92 per night. Prices and availability subject to change. Additional terms may apply.